Tea workers in north Bengal are continuing to face inconveniences in receiving their wages on time as most gardens are still struggling to switch over to a cashless system of transaction. Gardens where labourers have got bank accounts are also facing trouble as most plantations have no banking infrastructure and workers have to travel several kilometres to draw their wages. "As per the decision taken at the meeting with RBI and state government officials in Calcutta on December 16, tea estates, where bank accounts of all workers have not been opened yet, are disbursing wages in cash. This will continue till January 31. We really don't know what to do after that," S. Guha Thakurta, the secretary of the Dooars Branch of Indian Tea Association, said. Alok Chakraborty, a senior Intuc leader in Siliguri, said banks had infrastructure in just 10-odd gardens of north Bengal. "As of now, bank accounts of workers in 50-odd estates (there are around 300 gardens in north Bengal) have been opened. For these people, things have become more inconvenient," he said. According to trade union leaders, these workers have to travel several hours to reach the bank. "Most of the branches where their accounts have been opened are rural branches. In most cases, due to cash crunch, these branches are not in a position to allow the entire workforce (which is at least 1,000 in a garden) to draw their wage of a fortnight (around Rs 1,400) at one go. As a result, workers have to visit the bank at least twice," a leader said. In the Dooars, the situation is more complex. 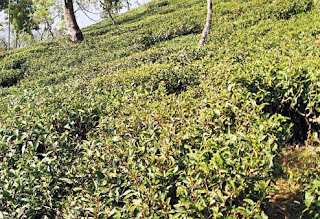 "There are a number of places where one bank is close to three-four tea estates. Now, if accounts of workers of two-three estates are opened at the branch, it becomes difficult to cater for all the labourers at one go," Mani Kumar Darnal, the joint general secretary of Intuc-backed National Union of Plantation Workers, said. Senior officials of banks admitted there were problems. "Opening bank accounts and transfer of wages don't mean that transition to a cashless system is complete. 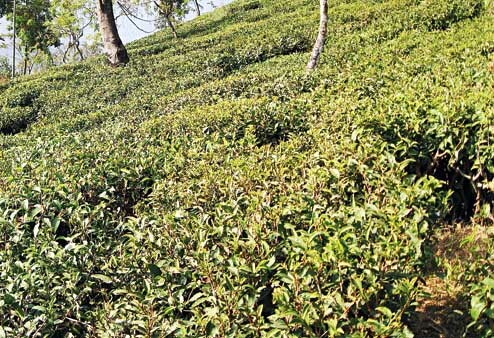 Due to remote location of tea estates and the absence of banking infrastructure, the workers' inconveniences have increased," an official of a nationalised bank in Jalpaiguri said. It is unlikely that by March 31 the banks will be able to set up infrastructure in all tea estates, he said.